Moradi Signature Smiles is much more than a dental practice. Moradi Signature Smiles is an All-In-One, Cosmetic and General Dentistry Center designed with the patient’s overall health in mind. We are dedicated to the diagnosis and treatment of virtually every type of oral malady and making our patients’ smiles the most beautiful smiles in the South Bay. Some twenty years after I decided that Dentistry would be my calling in life, I still get asked: “Why would anyone want to be a dentist? !” Well, one thing is for sure, it’s never been just about the teeth. I think it basically comes down to enjoying the interaction with people and the love of learning. Dentistry can be a stressful environment at times; for both the patient as well as the dentist. Strange noises, smells, and procedures are what most people have come to associate with Dentistry. Whenever I see someone who has had a negative experience at the dentist, I see this as a personal challenge. What is it going to take to make this individual see dentistry in a different light? After all these years, nothing beats taking an apprehensive individual and making a believer out of him. The friendships formed over the years are truly what get me excited about coming to the office every day. I truly believe that what we do can make a real impact in people’s lives, and I never take this fact for granted. My love for the sciences as well as for the arts is what makes Dentistry such a great fit for me. I value the relationships I have formed with our wonderful family of patients, and this is what drives me to be the very best that I can be at what I do. I continue to stay on top of the latest and greatest that dentistry has to offer to my patients by taking hundreds of hours of continuing education courses every year. Everyone deserves a healthy mouth and a beautiful smile along with it all the other positive attributes that come with excellent dental care. I received my Doctorate in Dental Surgery (DDS) from the esteemed University of Southern California (USC) in 1996. I continued my education by doing a dental/hospital residency at the University of California San Francisco (UCSF) where I received my Advanced Education in General Dentistry (AEGD) degree. To this day, I continue to teach at UCSF as part-time faculty alongside some of the world’s leading specialists in dentistry. I have had the pleasure of being associated with some amazing organizations such as the American Academy of Cosmetic Dentistry, (AACD), the West Valley Implant Study Club, Crown Council, as well as receiving my Fellowship in the International Congress of Oral Implantologists (FICOI), as well as my certificate, to perform conscious sedation from the Dental Organization of Conscious Sedation. Being part of these outstanding organizations has given me the opportunity to stay on the cutting edge of restorative, implant, cosmetic dentistry, and orthodontics. It is also through these organizations that I have had the opportunity of taking part in endeavors outside my comfort zone. Such as becoming co-author to a best-selling book about dentistry of all things!! Outside the office, I enjoy spending time with my wonderful wife, Marjan, along with my amazing kids, Sarah and Nima. I am a lover of blues and jazz music, as well as all things outdoors. I take pride in making sure that all my patients receive exceptional dental care in a caring, relaxed atmosphere. I earned my Doctorate of Dental Surgery in 1995 from the University of the Pacific, School of Dentistry, (UOP) in San Francisco. When not in the office, I am a proud, active member of the Santa Clara Dental Society. I reside in Los Gatos with my husband, my daughter Sarah, son Nima, and dog Perry. Our clinical team members work together to meet any and all your needs. You will see as many doctors, specialists and oral health care professionals as needed to provide you with a comprehensive diagnosis, answers to all your questions, and in the end, the effective treatment needed for your unique case – all typically under one roof. I have had the pleasure of being part of this amazing practice for the past 13 years. Over the years, I have been fortunate to make the acquaintance of our many wonderful patients and to really come to know them on a personal basis. I am in charge of many things at the office, including scheduling, treatment planning, and insurance billing. Having started out as Dr Moradi's chairside assistant, I also continue to assist in the back office as needed. 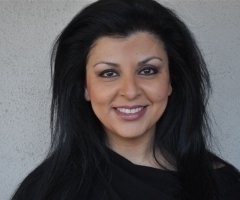 I trust Dr Moradi with all my dental care, as well as the dental care of my whole family. He is a truly competent, compassionate practitioner who makes everyone feel at ease in the dental chair. I am the mother of three children and in my spare time, love to dance, walk, read, and spend time with friends. I am the Registered Dental Hygienist at Moradi Signature Smiles. Upon graduation from Carrington College in 2011 I received the Golden Scaler award as the best practitioner in my class. I am also certified in the Academy of Laser Dentistry, CPR, Radiology, and Nitrous Oxide Monitoring. I enjoy being part of a professional and caring team that never loses sight of the ultimate goal, which is to treat people with the dignity and respect that they all deserve. Outside the office, I enjoy spending time with my family and friends. I swim and ski proficiently. My hobbies include cooking, working out, and listing to music. Moradi Signature Smiles represents the transformation that can take place between compromised oral health and a beautiful new smile; and much more than that, it represents a renewed quality of life – one that comes with the confidence to enjoy. I have been working with Dr Moradi as a dental assistant for over a year, and I have been in the dental field for 3 years. 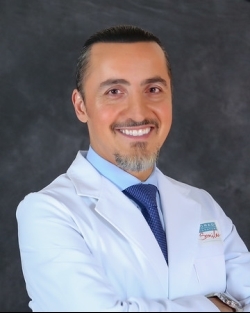 I enjoy working with Dr Moradi because he cares and treats his patients as family, and always makes sure that they are comfortable. My top priority at work is to provide the highest comfort and care to all patients and make sure they have a great experience during their appointment. I'm currently continuing my education at Evergreen College and my goal is to become a dental hygienist. In my spare time I love dancing, shopping and spending time with family and friends. I received my Dental Assisting education from the Silicon Valley Career Technical Education in 2014. I completed my internship for school through Dr. Moradi and have been working with him ever since. I love the friendly atmosphere here and I love working with out patients. My main goal is to make sure the patients have a great experience and provide them with the dental care they need. On my free time, I love to spend time with my friends and love going to the beach. © 2019 Moradi Signature Smiles. All Rights Reserved.